In Echo Platoon, the Rogue Warrior blazed a path of vengeance across the Middle East. In Option Delta, he took out a German super-terrorist armed with stolen nukes. Now, the New York Times bestselling SEAL commando of eight explosive thrillers must pay for his success. The price: exile inside the lethal world of Irish Republican Army terrorists -- the battle no one else will touch. Relegated to head up a special ops organization made up of Brits, SEALS, spies, and NSA operatives, the Rogue Warrior is on the hunt for a high-tech hired army launched by two self-financed, new-generation terrorists. This murderous wing of the IRA is waging its own vicious little war -- smashing the Good Friday Peace Accord and killing a half dozen American and British CEOs. Refusing to be contained to Irish turf, their next planned assault promises to stun the world. Marcinko and his merry band are determined to stop them, but there are a few unknowns: they don't know the target, they don't know the date, and they don't know where the terror is going down. 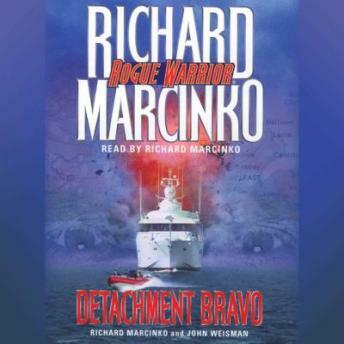 From top-secret diplomatic tunnels beneath London to the high seas off the Azores, Detachment Bravo is a fast-paced, furious, in-your-face adventure...just what the Rogue Warrior was made for.